1. 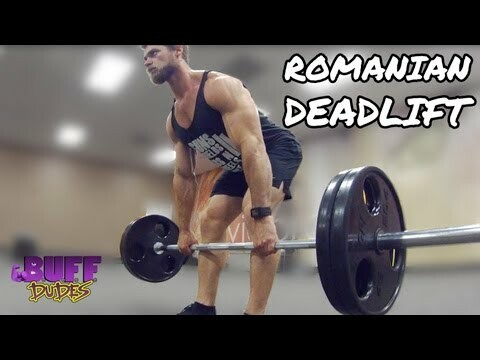 What is a Romanian Deadlift? The Romanian Deadlift is an excellent strength and conditioning exercise which targets your hamstrings and glutes. In addition, it is a popular deadlift assistance exercise. It isolates the second phase of a conventional deadlift. The first phase is when you lift the weight off the floor. Phase 2 is when the bar reaches your knees and you complete the deadlift by driving your hips forward and standing tall. Or better known as when you lockout. Therefore, the Romanian deadlift helps you improve your overall deadlift. It makes you stronger in the second phase of your lift. In addition, the Romanian deadlift can also serve as a stand alone exercise to target the hamstring muscles and glutes. The conventional deadlift begins with you lifting the weight from the ground. You pick the weight up off of the floor to a standing position. On the other hand, the Romanian begins from an upright standing position. Then, lower the bar as far as you can go towards the floor and then return to your starting position while maintaining a neutral spine. Keep your back flat, never round your back when doing any type of deadlift. The starting position of a Romanian Deadlift is from a standing position with the weight in your hand. And the regular deadlift starts from the floor. This is because the initial power of lifting the weight off the ground in a deadlift comes from your leg drive off the floor. As if you are doing a vertical leg press. This is your range of motion, from standing to a little below your knees. You are not putting the weight down on the floor. 5. Why Do Romanian Deadlifts? No matter which type of deadlift you perform, the deadlift is going to build your ‘posterior chain'. The posterior chain are the muscles of your lower and upper back. Another way of thinking of the posterior chain are those muscles that you cannot see in the mirror. The back half of your body. Imagine how much power and strength you lose by neglecting the back half of your body. Many gym goers spend years, if not decades, training the mirror muscles. The muscles they can see. Don't do it anymore. Of course, I had no clue what the posterior chain was back when I was obese. The only chain I was familiar with was Dunkin Donuts for pop ems. One explanation is because I was doing a total body workout that targeted the posterior chain. The entire back half of my body which was always neglected. But, when I finally started to lose weight and introduced squats and deadlifts, boom, those two exercises alone transformed my fitness. Dumbbell curls, shoulder presses and seated chest presses are not going to build your posterior chain. In addition, a strong posterior chain can reduce the risk of lower back pain and injury. As a result, you walk taller and feel much stronger. There are a variety of deadlift variations, and one of the most popular is the Romanian deadlift. Always focus on best form, and not how much weight can you lift today. No, keep your mind tied in to how good is your technique. Always do proper form deadlifts, whether regular, sumo, stiff leg or single leg romanian deadlifts. Otherwise, you can run the risk of injury from doing deadlifts. So, never be in a rush to lift heavy. Rather, be in a rush to go slow, gradually increase your deadlift weight. Keep learning as much as possible about how to perform proper form deadlifts. Like any deadlift or squat movement, Romanian deadlifts are not for the faint of heart. Be careful! Yes, be careful when doing any deadlifts or squats. Especially, full body compound free weight movements using higher weight poundages. You are not going to be in much danger if you do wrist curls or arm curls with light weights. In the Romanian deadlift or any other deadlift, keep your back tight, brace your abs, back flat with a neutral spine, head slightly tucked, shoulders back and chest out. Use a strong grip, lift with a full breath of air, this will offer your back the best protection against back strain or injury. This is a good video of what the romanian deadlift looks like. 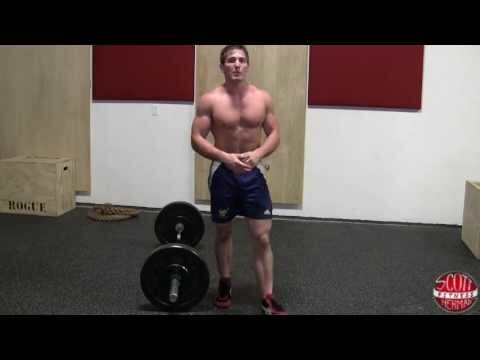 The first 2 minutes of the video is mainly about the romanian deadlift and then he goes into the stiff legged deadlift. 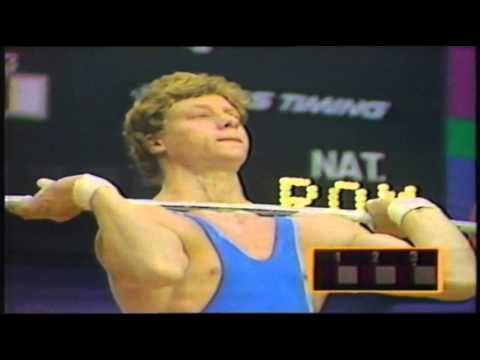 American weightlifters saw Vlad doing these second phase deadlifts, prior to winning medals. And they started to do the same and dubbed the movement a Romanian deadlift. You can see the Nicu knew something about weightlifting, so he is a good voice to trust for a great deadlift accessory exercise.